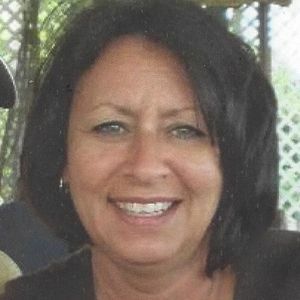 BEECH CREEK – Theresa Lee Stirsman, 55, of Beech Creek, died Friday, January 24, 2014 at her residence after a short, but burdensome battle with cancer. She was born March 13, 1958 in Gary, IN. She was the daughter of Oscar Knight and Margie Ray and the faithful wife of Stanley Stirsman. Survivors include her husband of 36 years, Stanley Stirsman, daughters, Amanda (Joshua) Mimbs, Alana Stirsman and a son, Kyle Stirsman, mother, Margie Ray and a sister, Sharon Knight. Services will be held at 11:00 AM, Tuesday, January 28, 2014 at Second Baptist Church in Greenville, conducted by Rev. Bob Thurman and Dr. Ray England with burial to follow in Forest Grove Cemetery in Browder. Visitation will be after 5:00 PM Monday and after 8:00 AM Tuesday at the Second Baptist Church in Greenville. Second Baptist Church Building Fund, 217 West Depot St. Greenville, KY42345 or Vanderbilt Ingram Cancer Center, 691 Preston Building, Nashville, TN 37232. Tucker Funeral Home in Charge of arrangements. I Loved her and will miss that beautiful smile and those beautiful eyes. She was a precious, precious person. Theresa was a member of one of the first youth groups I ever lead in Acteens at church. Even at that young age, she was a reflection of God's love. She grew into an outstanding christian wife and mother. She freely allowed me as a student in education to test her young children , so I could learn better to serve others. Her life brought light and laughter that only comes from a heart that is filled with the love of God. Margie & Sharon; and all of her extended family. Theresa was a great woman. I thought a lot of her. She was everything a great mother and wife could be. I will miss her as many others will. My thoughts and prayers go out to her son and daughters. May she rest forever more and walk in the everlasting paradise of the kingdom of heaven. A truly beautiful spirit. I hope to see you again one day. God bless. I never saw Theresa without a smile. Your day would brighten up just by talking to her. Praying for all of you that God will give you Peace and Comfort during your time of sorrow. We are so very sorry to hear of Theresa's passing. She was always such a sweet person. Our hearts go out to your family. Kirk and Vicki Strader. Sharon and family, I am so sorry for your loss. I have nothing but nice memories of Theresa in school,.I know your wonderful memories will be a comfort for you.Love and Prayers for the family. May God comfort the entire Stirsman family during this difficult time. Theresa was an outstanding lady and employee for the school system. I always enjoyed her smile when visiting the lunchroom at South High School. Take comfort in knowing she is in Heaven and resting with her eternal God. I remember seeing her at school thinking how pretty she was, and she never changed!! Sharon and family, Phillip and I are so sorry for your loss. You are all in our prayers. We are so sorry for your loss, Theresa was a blessing to know and was loved by all. Will be praying for the family that God will give you comfort and peace during this difficult time.